In legal terms this is "all the rights, duties and powers which a parent has in relation to a child and their property". In other words, the responsibility to make decisions on behalf of your child, for example which school they attend, giving consent for operations and medication, the issue of passports etc. In fact the decisions which parents make every day when bringing up a child. But not everyone has the legal right to make the decisions. A mother will always have PR this can only be removed if the child is adopted. on the death of the mother if she has appointed him as guardian in her will. By entering into a PR agreement with the child's mother. This must be a formal agreement recorded on a special form. The parents must sign the form at the same time and this must be witnessed by a magistrate, justices' clerk or a county court officer. The parents must produce proof of identity. The agreement must be registered at Court. There is no fee for this. By applying to the County Court or Family Proceedings Court for a PR order. By the father obtaining a Residence Order (court orders that the child lives with him) then at the same time the court will make a PR order. Where a father obtains PR in these ways then on production of a valid PRagreement/order he can register himself on the birth certificate without the consent of the mother. Can anyone else obtain parental responsibility? A range of other people may acquire PR in various ways, such: step-parents, civil partners, grandparents, local authority. There is no limit on the number of people who can have PR at the same time and nobody loses it just because another person gains it. Can parental responsibility be terminated? As children grow older and gain sufficient understanding they will be able to make their own decisions and so the parents' responsibility for their lives will decrease. Although PR ceases altogether once a child reaches 18 there are still some areas where parents may retain financial responsibility, e.g.university grants for young people over 18 are based on parental income with parental contributions assessed. PR is lost if a child is adopted. This is the only way mothers lose PR. 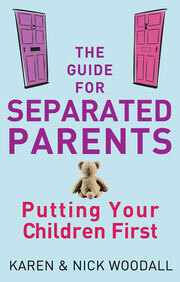 Fathers who have PR due to marriage to the mother do not lose PR on separation or divorce. PR obtained by fathers through agreement or court order can only be terminated by a court order. PR obtained by people other than the father can be terminated by the court. If you wish to make a Parental Responsibility Agreement, you can download a Parental Responsibility Agreement Form from HM Courts Service. How do I get a parental responsibility order? HM Court Service can provide information and guidance. Your local County Court or Magistrates Court will also be able to assist - details can also be found on this website. not be taken as a substitute for obtaining legal advice.